But networks are having faith and pumping a lot of money into them. Snapchat hasn't been coy about its obsession with making original video content. Snap Inc., its parent company, sees TV-like programming as the holy grail and key to its long-term success. The quick, raw, disappearing videos that made Snapchat popular with teens are no longer enough to keep users locked in. Especially as Instagram has started stealing its most popular features, like Stories. Snapchat won't admit it, but Facebook may have inadvertently driven its push into original programming. Conquering that world won't be easy, and right now there are more questions than answers about whether Snapchat shows are working and how viable they are. Over the past few months, Snapchat has lined up a slew of TV networks to create exclusive content for its Shows platform, such as A+E Networks, Discovery, ESPN, NBCUniversal and Turner (owner of CNN, TBS and TNT). According to The Wall Street Journal, Snapchat is also in talks with CBS and Fox, two of the biggest players in the TV industry. It's an ambitious effort, and Snapchat appears confident that it has the perfect formula for viable mobile-first, short-form video programming. NBCUniversal, which invested $500 million as part of Snap's IPO in May, was one of the first networks to put the potential of Snapchat Shows on display. The company, like many other traditional media outlets, craves the young demographic that live on Snapchat. Last July, NBCUniversal launched Stay Tuned, a twice-daily news show created from the ground up with Snapchat users in mind. The show features two- to five-minute episodes shot in portrait mode, the ideal format for watching on-the-go on a smartphone. 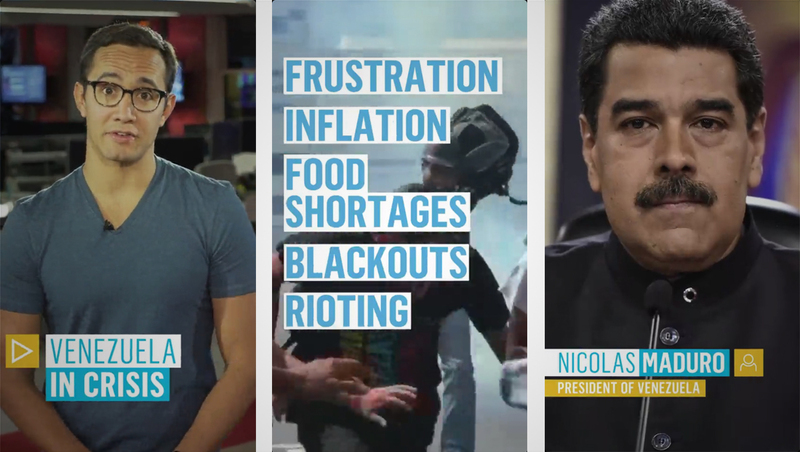 It's complemented by bright, colorful imagery and large text overlays that are displayed as the host discusses the news of the day. So far, NBCUniversal's bet seems to be paying off, with the network claiming the show has garnered more than 29 million viewers since its debut. That number, however, needs to be taken with a grain of salt. Snapchat does not disclose valuable metrics like user watch time and series retention stats, so it's hard to know what exactly qualifies as a "viewer." The company also doesn't disclose monthly active users, which is considered a key metric in determining user growth. A spokesperson for Snapchat did not provide specific viewership numbers but did say that Stay Tuned has more than 4 million subscribers. That's rather small when you consider that Snapchat has 178 million daily active users. Snapchat told Engadget that networks find its platform appealing because they can connect with audiences different than those who watch traditional TV. According to Snap, more than 60 percent of the people who watch Stay Tuned are under 25 years old. And it's no secret that "millennials" are a highly coveted demographic, not just by media companies but fashion and tech brands, as well. ESPN, which is owned by Disney, is another network that recently launched a show on Snapchat. Last month, it announced a mobile-focused version of its flagship TV news program, SportsCenter, exclusively for Snapchat. It features many of the same traits seen on Stay Tuned: vertical scenes, large text overlays and GIFs. You'll also notice young hosts with upbeat personalities and casual outfits. ESPN and NBCUniversal are betting that they have a better chance connecting with Snapchat users than, say, 40- or 50-year-old anchors in suits. An ESPN representative declined to share viewer stats for SportsCenter on Snapchat, citing Snap's reservation about releasing usage data to external parties. The spokesperson said numbers for the show are "very promising" since it launched last month, but noted that it's early and there's not enough data to quantify accurate regular behavior. Viewership numbers for Shows are vague at best and often non-existent. But that hasn't stopped Snap from launching 30 series with over 500 episodes in about a year. It's no easy feat to create that amount of content in such a short time, and it's a sign that networks including CNN, E! Entertainment (owned by NBCUniversal) and ESPN have enough faith in the platform to invest significant resources. That said, it's not as if the networks don't make cash. 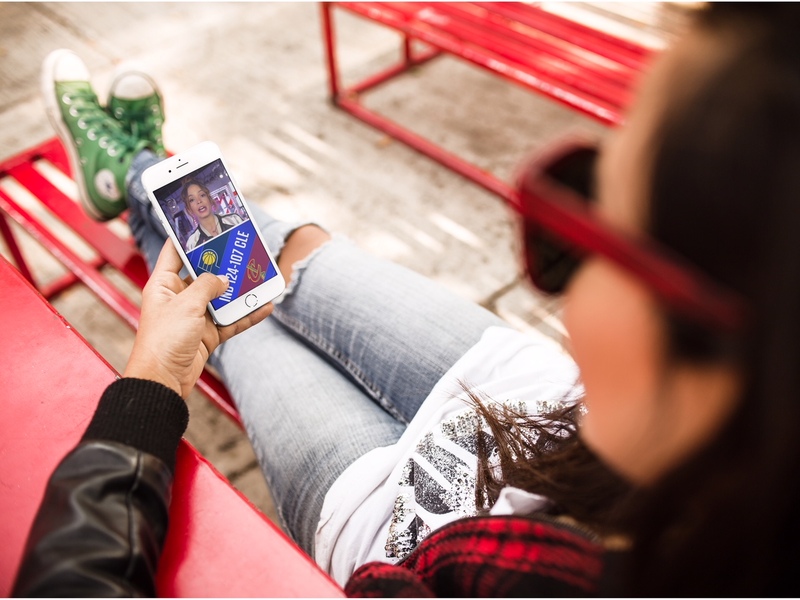 On Snapchat's version of SportsCenter, for example, there are video advertisements for Dunkin' Donuts, Express and the NFL, which a viewer can interact with by swiping up on a card if they want to shop or learn more about a product. Each show has ads like these and there's a revenue-sharing agreement between them and Snap, though it's unclear just how much money these generate. A January report from research firm Digital Content Next claimed that Snapchat "holds little to no short-term financial interest" for publishers. Mashable, meanwhile, reported that ad money for "top partners" has reached "seven and eight figures annually." 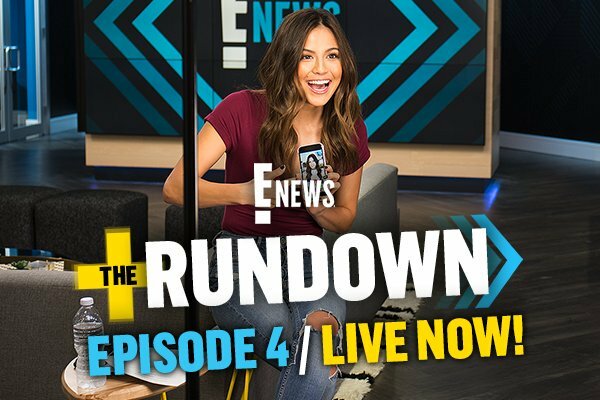 Back in September, NBCUniversal CEO Steve Burke told The Information that The Rundown, a pop-culture show on Snapchat from E! Entertainment, was making "over a million [dollars]" in revenue from the app. 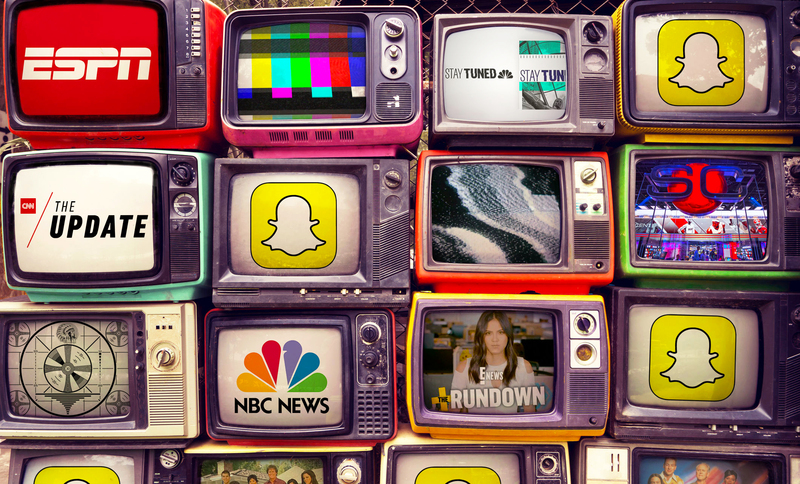 Not surprisingly, Snapchat isn't the only one trying to make social TV a hit. Facebook introduced its own video platform, Watch, in August, where it streams anything from original shows created by independent artists to Major League Baseball games. Per video analytics firm Delmondo, though, Facebook Watch videos are only being viewed an average of 23 seconds at time -- so the company needs to figure out a way to keep people's attention longer than that. To make matters worse, unlike Snapchat, Facebook doesn't allow ads on its shows, and people such as Burke see that as a deal breaker. "They have no respect for professionally produced content, or at least they're not showing they do," he said to The Information. "Just seems wrong to me and unsustainable." Snapchat would like to keep the networks happy, but it needs to focus on keeping viewers' attention first and foremost. The key to that, according to Snap's head of original content, Sean Mills, is to make shows that are relatable and to treat them differently than traditional TV. "We believe that mobile is fundamentally a new medium," he said. "It's not another screen to repurpose things, it's a place where you actually have to create especially for it." Mills pointed to ESPN reimagining SportsCenter, which has been around since 1979, for the Snapchat generation as the perfect example of this. Whether it's working on new shows like Stay Tuned or existing franchises such as SportsCenter, Mills said Snapchat doesn't only have "one playbook that we're just going to keep running." He added that he believes Snapchat's current strategy is setting it up for a bright future. But that future could be clearer if the company was more transparent about how many people are actually watching its shows, and if they keep coming back to them. "I think we're onto something," he said. "The numbers, in terms of the size of the audience, the loyalty and engagement sort of backs that up." Of course, what numbers Mills is referring to are a complete mystery. You'll have to take the company's word that it's on the right path, and we won't know for sure until these shows start getting canceled. Or not.